Chillistick, innovation in dry-ice applications. 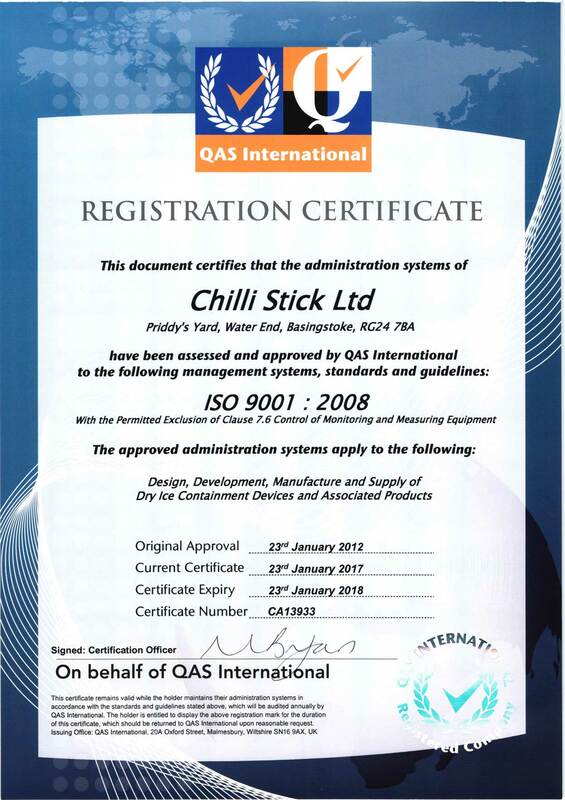 Two friends, Mike Ashe and Chris Buchanan, set up Chillistick Ltd in 2007. From studying chemical engineering at University, the boys pursued varied careers including airport design and power generation before setting up the dry-ice business. Chillistick started off manufacturing dry ice - the solid form of carbon dioxide and within four years this business became one of the largest suppliers in the UK. Mike and Chris changed the focus from manufacture to innovation, designing a range of patented drinks’ accessories creating awesome dry-ice special effects. Chillistick launched exciting collaborations with major spirits brands and started supplying hospitality accounts nationwide, including a particular well-known experimentalist chef. Design and development accelerated rapidly. Since then Chris and Mike have had their heads in the clouds designing a range of products, from shot glasses and interactive champagne buckets, to science packs for schools and seasonal party accessories. All share a common feature – unique, instant, atmospheric fog! Customers now include major brands and independents in the UK On-trade, events’ organisers, party retailers, the education sector and fun-loving consumers keen to super-charge their celebrations at home. Chillistick HQ is just off the M3 in Basingstoke, Hampshire, so drop by and meet our friendly team if you’re passing…..
Unit 4, Ringway Centre, Edison Rd, RG21 6YH. Company Registered in England No 07781099. VAT Number 120907541.